The Texas Commission on Fire Protection has announced that the National TIM Training Certificate available from the Responder Safety Learning Network is now accepted as an equivalent course to fulfill Commission rule §435.29. This rule requires entities regulated by the Commission to ensure that their certified fire protection personnel complete the Federal Highway Administration's Traffic Incident Management Program or its equivalent Commission-approved course by December 1, 2020. The Commission awards four hours of continuing education credit for completing this requirement. "This is an exciting development," said Steve Austin, project manager for ResponderSafety.com, "We're very pleased that our training has been approved by this rigorous state authority. Furthermore, it's a game-changer for the Texas first responder community that the Texas Commission on Fire Protection has put this new rule into place mandating traffic incident management training. It means that all certified fire protection personnel are going to get the critical traffic incident management training that we know is necessary for safe roadway operations and safe, quick clearance. It's going to make roadway response safer for the fire service, other responding agencies, and the traveling public." The National TIM Training Certificate from the Responder Safety Learning Network is available free and online. To earn the certificate, a registered RSLN user must complete ten self-paced modules by viewing the programs in their entirety and passing each one's Skills Challenge test. The modules' content tracks the Federal Highway Administration's SHRP2 National TIM Training and is offered through a special agreement between RSLN and FHWA. To learn more about the National TIM Training Certificate from the Responder Safety Learning Network, please visit our information page. 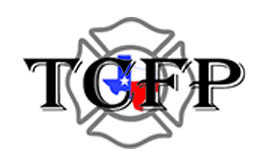 To learn more about Texas Commission on Fire Protection rule §435.29, please visit their web site.